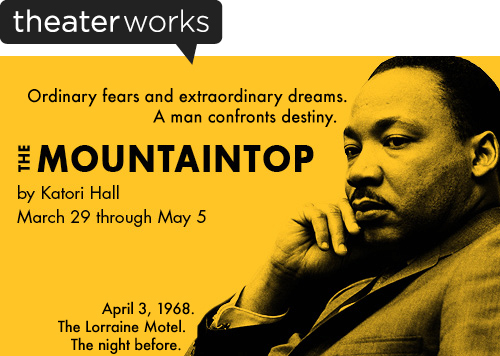 The College’s Foundation and Theaterworks are teaming up for a reception and a performance of The Mountaintop on Tuesday April 23rd in support of the College’s Hartford Heritage Program. The evening will conclude with a “Talk Back” with the cast. The reception features selections from The Kitchen at Billings Forge. Katori Hall’s The Mountaintop , which has won acclaim at runs in London and on Broadway, has been called “a soul-stirring hit” and received London’s Olivier Award. Set in Memphis in 1968 the play re-imagines the events that might have taken place the night before the assassination of Dr. Martin Luther King, Jr. After delivering his magnificent I’ve Been To The Mountaintop speech, an exhausted King retires to Room 306 at the Lorraine Motel where he meets a mysterious stranger that prompts him to confront his life, his past and his legacy. The Theaterworks’ production, directed by Rob Ruggerio, will run from March 29th to May 5th. Capital Community College has been approved for a $300,000 National Endowment for the Humanities (NEH) challenge grant to sustain its Hartford Heritage Program, an initiative linking courses with the city’s cultural and historic institutions. Admission to Capital Community College Night @ Theaterworks is $50. The April 23rd event at City Arts On Pearl, 233 Pearl Street in downtown Hartford will begin with a 6 p.m. reception in the gallery with and the performance at 7:30 p.m.
For tickets and more information call the Advancement office at 860-906-5102 or buy tickets at http://bit.ly/VLRvtG. An views, findings, conclusion or recommendations expressed in this release do not necessarily represent those of the National Endowment for Humanities. This entry was posted in Announcements, Events, Humanities. Bookmark the permalink.